Hi all, new to the forum. . . .
Just purchased my first Subaru 1996 Turbo. Having drove it home 100 mile and driving around locally another 200 mile since owning it ive noticed an oil leak. I have just done the cambelt and inspected crank seal etc and all is ok there so a bonus there. 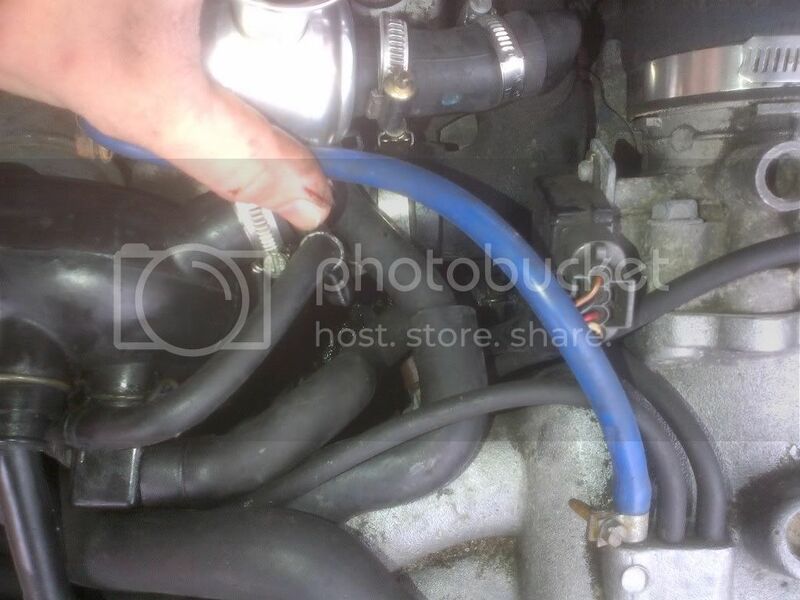 The leak is coming from somewhere to the right of the coolant bottle. If i look down through the pipework i can see a pool of oil sitting ontop of the block. In the miles i have done it has leaked roughly half a litre. being new to the subaru engine any help would be much appreciated as i have mainly worked on Vauxhall turbo engines. Couple of pictures, literally through the pipework there is a pool of oil sat ontop of the block. Today i took a closer look at the leak, ocker gasket has not got 1 weap coming fom it and is dry all the way round. . . . Anyone shed any light as to the possibilities on where this pool of oil could be coming from??? Is there any seals or gaskets in that area that can leak oil??? looking at your picture is the oil below the none standard DV? your best bet is to clean it ALL off and then take it for a run see if its fresh anywhere. 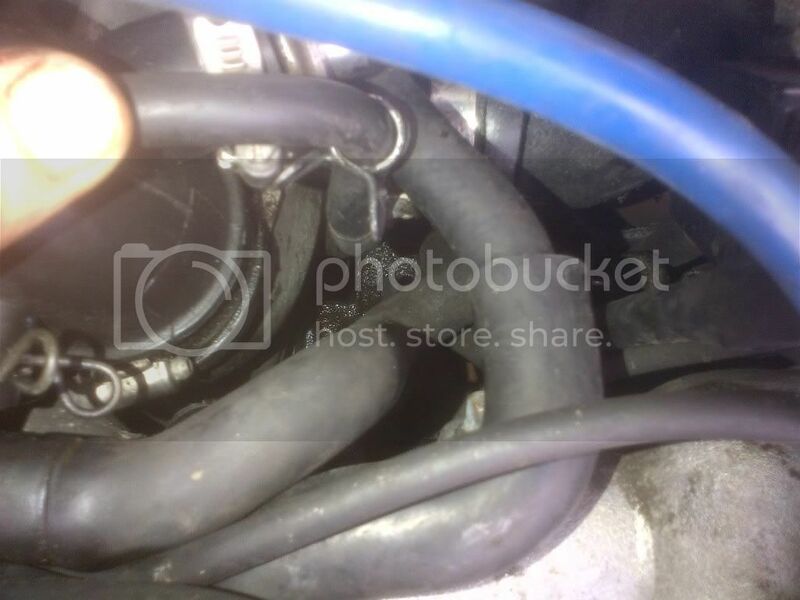 The dump valve does not chuck out any oil, i have checked cooler pipework and all is clear in there, there is no oil on any of the pipework thats ontop of the engine, its just sat on the block and drips down from the top to the sump area and causes abit of burning oil smell. I will in the next couple of days strip all the pipework off and give it all a good clean over, and as you say . . . then see where its coming from. Last edited by jay987; 09 Apr 2012 at 07:32 PM. Just noticed mate u need to change the pipe that comes off the Intercooler to the turbo!! Where the 90 degree bend is for your damp valve there is a hole in photo 1! !